There was nearly late drama in Sligo but the 2012 champions held on. Conor Daly's goal proved key for the Rossies today. AFTER A COMFORTABLE 11-point win in their Connacht U21 football championship quarter-final with Mayo, Roscommon were made to work a lot harder by Sligo in Markievicz park this evening as they looked to reach five provincial finals in a row. While a Conor Daly goal ten minutes from time looked to have given the Rossies an unassailable lead, Sligo fought back tremendously to close out the game on a 1-3 to 0-1 run. However it was too little, too late. Nigel Dineen’s men made the brighter start with Shane Killoran (2) and Enda Smith helping them into an early 0-3 to 0-1 lead. Sligo fought back however and thanks to Niall Murphy found themselves two points in front approaching half-time. 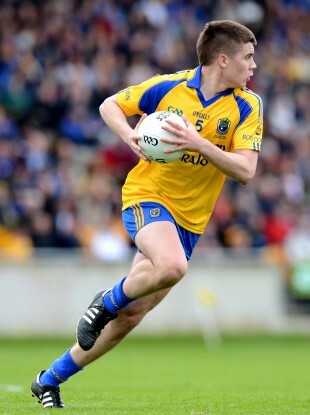 Two quick points from Diarmuid Murtagh levelled things once again though before Ciaran Kilcline sent Roscommon into the half-time break with the narrowest of leads, 0-6 to 0-5. The Rossies had much the better of the early stages of the second half and were cruising even before Daly found the net. However, while Cian Breheny’s goal gave them a worrying final few minutes but they still had enough in hand to ensure they will play Leitrim for their third Connacht U21 football title in five years. Email “Roscommon reach fifth U21 Connacht football final in a row”. Feedback on “Roscommon reach fifth U21 Connacht football final in a row”.